It seems that German pianist Hauschka’s music has an unnatural ability to inspire the very best visuals from directors as we saw in Jeff Desom’s work last year. 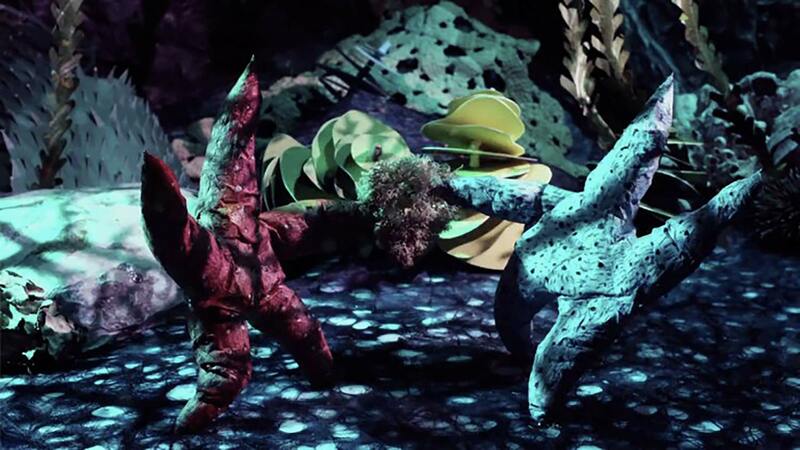 For Bounce Bounce, his collaboration with American violinist Hilary Hahn, Hayley Morris has created a colourful parade of tide pool choreography, which sees sea snails shuffle, starfish step out and crabs tug of war over their next meal. Morris’ choices of materials and lighting give the whole piece a delightfully tactile feel that almost had me reaching out to touch the screen. And also a beautifully observed portrait of Morris at work on one her characters from Danny Gregory’s Sketchbook Films series.